Happy Father’s Day to all the wonderful dads out there, especially my dad! I am so incredibly proud of my dad this year because of his remarkable physical transformation. He is a new man. I was worried about my dad for a long time. He has spent much of his adult life battling his weight and other health issues including high blood pressure, elevated cholesterol, and diabetes. He never had the healthiest diet, and I only really remember him exercising when he had to for the military. About 69% of adults in America are either overweight or obese, so he was not in the minority with his weight or poor lifestyle and health history. My dad’s weight and medical concerns only increased since retiring from the Navy, until he was forced to make some serious changes or risk loss of his career or even his life. My dad’s side of the family has a pretty bad track record with a number of deaths from heart attack or stroke, things that probably could have been prevented with lifestyle changes. I think he probably knew that he would face a similar fate if he did not take control of his weight and health. My dad also had a lot to lose if he did not make the necessary changes. He is a husband and a father to four grown daughters. Perhaps most importantly, he is Grandpa to my three kids and now to my sister’s newborn son. With a 20+ year career in the military, my dad was gone a lot, too much with young kids at home. He missed plenty of big and small events in our lives, and I still really don’t know how my mom managed so much on her own while my dad was deployed. I also know, although he has never said this, that it must have been hard on my dad to miss all those precious moments with us. I know that this is the fate of so many military families right now while our country is at war, and it breaks my heart because I know firsthand how hard it can be on the members of those families. Since retiring from the military, I have seen so much more of my dad and been able to get to know him so much better as an adult. All of my sisters are probably closer to my dad now as grown-ups than we ever were as children. 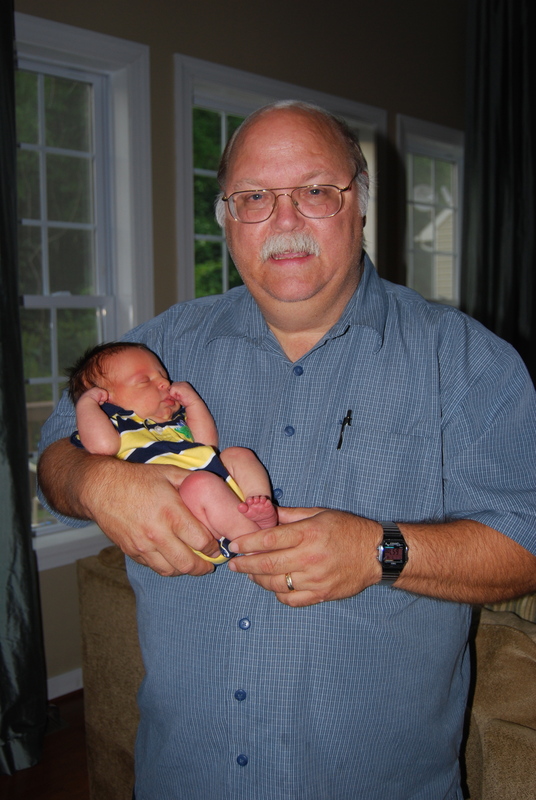 I have also been able to watch my dad become a Grandpa, perhaps one of my greatest joys over the past few years. I know my father loves each one of his daughters, but I also know that my parents always wanted a boy. They had a name picked out and everything. My dad is naturally the strong and silent type, but having five women in the house (all fighting to get a word in) left him without much to say. I don’t think he quite knew what to do with Barbies, dolls, make-up, boy trouble, and the hormonal teenage angst that was ever-present in our house for years. Now there are three grandsons in our family, some sort of poetic justice in my opinion. My boys, especially Jacob, adore their Grandpa. Jacob loves all of his grandparents, but there is an amazing connection between Jacob and my dad. He loves to take Grandpa on walks in the woods, play choo-choos or cars, and go to the park. My dad enjoys following Jacob around wherever he leads, making him #1 in Jacob’s mind. Jacob even resembles my side of the family, especially my dad. Before my dad lost all of the weight, he had a hard time getting down on the ground to play with the kids and struggled to keep up with my active toddlers. 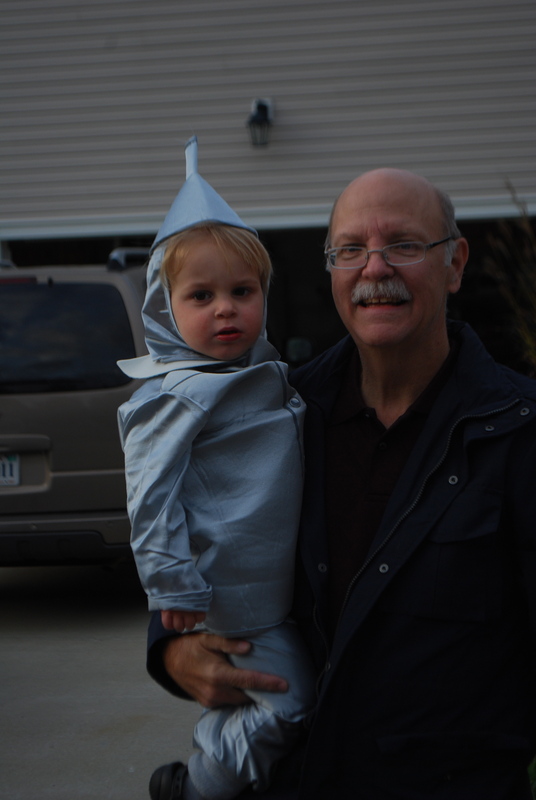 He could not physically be the Grandpa he wanted to be – active, engaged, and playful. I am so appreciative of my parents and the role they play in my children’s lives. Yeah, the babysitting is nice, but mostly I just love to see the way my kids get so excited to see them. My dad needed to get healthy so he could be around a lot longer, especially for Isabella, Jacob, and Noah. I always admired my dad’s work ethic, tenacity, and pride. These are traits that I hope I have inherited and learned from him. He relied on these character traits to totally transform his weight and his health. My dad underwent gastric bypass surgery a year and a half ago and has lost over 100 pounds since that time. Some people feel that this is “the easy way out” or somehow not as impressive as losing the weight without surgical assistance. I understand where some of those people with that opinion are coming from because there are plenty of examples where surgical weight loss does not work as a long-term solution. I do not feel that my dad will be one of those people. He committed himself to long-term success. He is doing it for the right reasons. He did the mental work to prepare for the lifestyle changes and has followed through on those changes even after the weight loss. 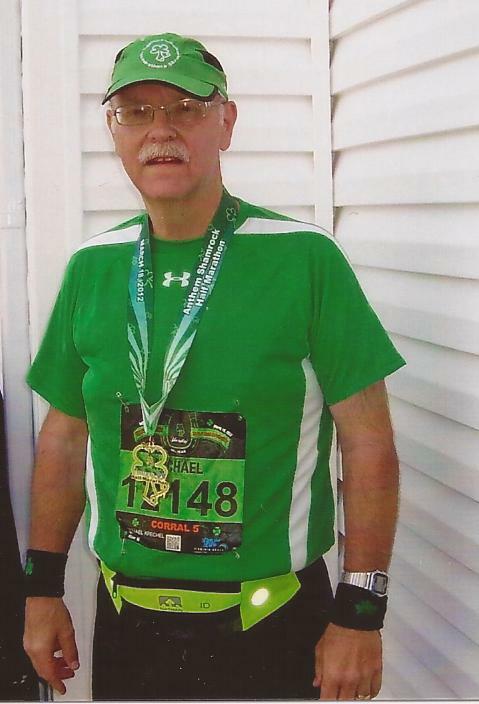 My dad is a runner now – a real runner who belongs to a running group and does 10K and half-marathon races on weekends. He does not take any medicine to treat health problems anymore. He actually managed to get off all his blood pressure, cholesterol, and diabetes medicines before the surgery, as a result of the significant dietary changes leading up to the surgery. He makes better choices about the foods he eats, liquids he drinks, and portion sizes. He looks awesome and I know he feels great too. He has a new lease on life and is making the most of it. He has always worked hard for his family and for his job, but I am so proud to see my dad working so hard to take care of himself. I admire my dad for many things, but I am inspired and moved by the complete transformation he has made over the past 18 months. Congratulations on your remarkable accomplishments Dad! Thank you for taking charge of your health so that you can be around for many more years. Keep up the good work with your diet and running. We are all so proud of you! Lots of love to you on Father’s Day and every day!